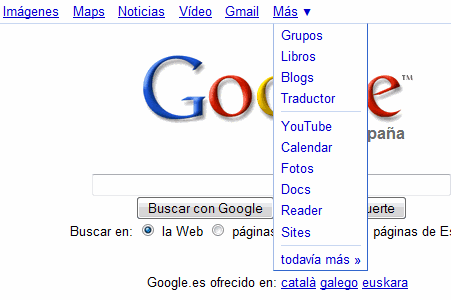 Google Translate has been added to the navigation menu for almost all localized versions of Google's homepages: from Google UK to Google Japan and Google Canada, but not the main google.com. That means you can now type the text you want to translate in Google's search box and then select "Translate" from the "more" drop-down. In less than three years, Google Translate added support for 41 languages, becoming the most comprehensive translation service available for free. "Google Translate recently added Turkish, Thai, Hungarian, Estonian, Albanian, Maltese, and Galician to the mix. The rollout of these seven additional languages marks a new milestone: automatic translations between 41 languages (1,640 language pairs!). This means we can now translate between languages read by 98% of Internet users," explained a Google blog post from February. Even if Google's statistical translation system doesn't always produce coherent translations and sometimes proper nouns are translated incorrectly, Google Translate constantly improves as more parallel text adjusts the language models. This is so cool! I didn't even know google translate existed. This will be much easier than babelfish... thanks! Google Translate doesn't work with Half-width Katakana. But it translates the Windows Western varieties e.g. Ă ° Ď and when Google Translate will work by Half-width Katakana? Google Translate changes full width Latin letters to half width Latin letters when translating text.